There’s no doubt that you accumulate numerous duplicate images on your computer, which clutter your photo library & consume lots of system storage. However, the easiest & safest way to deal with this digital junk is by using the right duplicate photo finder tools. These programs can help you free up unnecessary occupied space that ultimately affects PC performance. With an ideal duplicate photo cleaner all it takes is a quick scan to find & delete all duplicate & similar-looking images for easy management. With the aim to provide fixes for common issues that plague photo collections, we are listing the best duplicate photo removers. They will help deduplicate your photo collection while recovering a lot of storage space! Note: Make sure to take a backup of all your data before you start with deleting duplicate images. The award for Best Duplicate Photo Remover tool available for Windows 10, 8, 7 Mac, Android & iOS goes to ‘Duplicate Photos Fixer Pro’. It works with powerful scanning engine to find duplicate and similar photos instantaneously. Using the software is quite easy, just launch it > Add Files or Folders you wish to scan > click Scan Now button > That’s it! Sit back and let the software detects all the duplicates for you in no time. 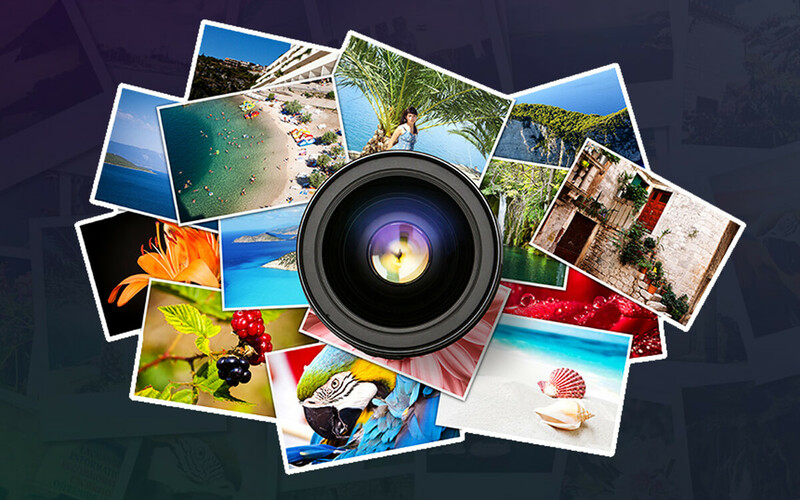 Duplicate Photos Fixer Pro works on Intelligent algorithms which results in both exact and similar looking photos. Hence, no segments of duplicates on your system. Sleek & easy-to-use interface with tons of tools. Removes all the duplicates effectively and provides sleek and organized library. Helps you in removing all the unnecessary files that occupies lots of space. Exact Match – For finding exact duplicates. – Matching Level: To identify duplicates on the basis of similarity of content. – Bitmap Size: On the basis of quality of duplicate images. – Time Interval: According to time gap between clicked pictures. – GPS: According to geolocation tags. To get rid of all the duplicate files in one-go. This option automatically selects duplicates on behalf of users. Supports over 14 different languages. Now that you’ve understood the immediate need for cleaning duplicates, let’s jump to the ultimate solution Duplicate Photos Fixer Pro that will help you to get rid of unnecessary mess in the easiest way possible. Download it from the button below. No matter how much you organize your photo albums, duplicates somehow always find their way to clog your library. So, introducing another great software to find and remove duplicate images in few simple steps. The software is well-known for its precise comparing methods, it goes beyond to detect similar-looking images as well so that your album has no signs of identical images. Duplicate Photo Cleaner has strong capabilities to detect even those pictures which are of same content but are resized or edited. Cool, right? So, if you are a photo editor and often end up with multiple replicas of same pictures by editing or resizing them, then this is the undoubtedly the best option for you. • Detects duplicates on the basis of content, hence more accurate results. • Easy Move and Delete option. • Preview option, to analyze detected duplicates before deleting. • Works with finding duplicates in Adobe Lightroom. • Supports over 20 file formats including JPG, GIF, PSD, TIFF and PNG. • Increase Scanning speed for instant results. • Image Similarity Threshold, to configure the tool for detecting only exact Identical images. • Ignore List to exclude folders you don’t wish to scan. • Flexible search parameters, to detect pictures which are resized, rotated or edited. Duplicate Photo Cleaner is undoubtedly the best option to have all the robust functionalities in one package. You can further read about this software, here! Duplicate Image Remover is a comprehensive cleanup solution that offers advanced searching capabilities to detect duplicates and find similar photos instantly. The program is quite easy-to-use and doesn’t distract users from the major functions to be performed. The searching criteria to find ‘exact duplicates photos’ is simple, it distinguishes the images on the basis of same format, size, name and son on. For detecting ‘similar-looking images’, it works on the basis of size, filters, volume, files with different name and so on. Just add folder and click ‘Start’ button to begin scanning process. • Ideal Duplicate Photo Remover for novice PC users. • Helps you finding similar photos as well. Strong Duplicates – To get exact match. Similar Images – To check for same or slightly different images. File Properties – To search duplicates on the basis of Name, Size or Extension. • Works with all popular file formats. • Different criterion for selecting ‘detected duplicates’ for removal. Based on Size: Smaller or Larger Files. Or Newer to Older Files. • You can ‘Save results’ to continue from where you last left the scanning process. Though the interface is quite basic, but it does offer a lot of comparison methods to retrieve accurate results. There are numerous duplicate photo finder tools in the market which are packed with plethora of options and simply make things complicated for users to detect duplicates. But Duplicate Cleaner is different from most, offering easy-to-use interface and simple scanning engine to get the effective results. Duplicate Cleaner is quite different from other alternatives mentioned here, because of its more advanced options for searching duplicate data. You can easily choose on what basis you would like to find files: on the basis of content, or same file names, or similar file names or same size and so on. Once you download the software, it offers a quick tutorial on ‘how to use duplicate cleaner for removing duplicates?’ For better results watch it and proceed! • Comprehensive search criteria so that users can perform complicated searches. • Supports JPEG, BMP, GIF, PNG and other popular file formats. • Capable of cleaning duplicate images, music, files, and documents. • Locate similar-looking images as well which are edited, rotated or resized. • Allows Preview files before removal. • Depending upon the size of the data stored on your PC, Duplicate Cleaner can take time. • Ignore Content – you can specify on which basis you would like to scan for duplicates. • Image Preview option to see duplicates with bigger thumbnails. • Offers 15-days free license. • Interface is quite stuffed. It just requires one or maximum to two clicks to get rid of all the redundant at once! Want to read its review, click here! If you’re looking for just finding exact duplicate images, then search no further because Duplicate Photo Finder is your ultimate solution. It’s an incredibly designed software that comes with bunch of functionalities to scan and delete duplicate photos. Once you launch the software, it automatically starts scanning for duplicate images. Depending on the size of the data stored on your computer, it can take time, so be patient! Once scanning is completed and results are displayed you can either rename them to keep it or delete it to get rid of the duplicate pictures once and for all. • The program is very lightweight and doesn’t eat much system resources. • Just click on (-) icon to get rid of the duplicates. • Impressive interface – shows both Original and Duplicate photo. • Move, Copy or Delete option. • You can also add folders manually for finding duplicates. • Too basic & easy to handle. Duplicate Photo Finder is an ideal tool for novices. Just simple click and your task is done in few moments. Meet another great double photo remover, VisiPics that comes with clean interface and doesn’t overcomplicate things much. The software comes with tons of matching options so that you get desired results. It is also capable of finding similar-looking images which are scattered on your PC with different names, sizes or orientations. To get started with VisiPics, just download the software from the link here and launch it > you’ll be presented with a clear, intuitive interface, select the folder from there and tap on (arrow-plus) icon to upload the folder > click Start (green) button to start the scanning process. You can adjust the filters for desired results. • Easy Options to rename, move or ignore a duplicate photo. • Stop/Start/Pause buttons to handle scanning process efficiently. • Different Filters to compare images. Strict Mode: If you want to find exact duplicate images. Basic Mode: If you want to check for images that have slightest difference. Loose Mode: If you want to check images with greater difference. • Support numerous file formats. The software is quite easy-to-use and unlike most of the duplicate photo cleaners, it does give much control to users for getting duplicates out. Want to know more about this software? Read here! Here’s another excellent tool to find similar photos, Awesome Duplicate Photo Finder that ensures that your photo gallery is clean and up-to-date. Just download the software and load all the files and folders you think contains duplicates, you can also drag and drop the folders or images at the upper portion of the window. Tap ‘Start Search’ button to begin scanning. Once this duplicate media remover detects all the exact and similar photos for you, you can use Auto mark feature to let it select all the duplicates for you and then you can remove them manually. • The software is free from any type of spyware, freeware and adware. • Shows all the duplicates in a list, so that you can conveniently remove them individually or altogether. • Easy and intuitive interface. • Shows similarity percentage between original and duplicate photos. • Deleted files directly go into recycle bin. • You can include/exclude file formats for scanning process. • Doesn’t come with automatic deletion option. • Installing process may take little time. Take advantage of this nifty duplicate media remover tool and clean all your duplicate images securely in a jiffy. Need to know more about this wonderful duplicate photo remover? Click here! With more and more duplicates piling up on your system, your storage space has simply transformed into a complete mess, that leads to reduced disk space and slowdown causes. To overcome such issues, download this amazing duplicate media remover and enjoy decluttered library. Once you add the folder for scanning, you can choose filters for desired results. The software is available for free, paid and corporate version. • Simple and easy-to-use interface. • Plethora of filters for comparison for free, paid & corporate versions. • Supports almost all the file formats. • Capable of finding both exact and similar-looking images. • Comes with Photo Preview so that no important file gets deleted. • Quickest of all the software listed here. • ‘Autocheck’ to automatically select all the detected duplicate files, leaving the original ones. • Best for advanced users. Unlike standard duplicate finders, VSDIP works on smart algorithms that ‘looks’ at your photos just similar like a real person would do. Duplicate Files Fixer is a multi-functional software that eliminates the need of searching duplicates manually. The tool is equipped with lots of cleaning modules to remove multiple replicas of files, photos, folders, videos, audios and other media files in one-go. Duplicate Files Fixer is an all-in-one solution to get rid of all the duplicates in single-click. No matter if you have thousands of duplicates, this duplicate file finder will detect every inch of your PC effectively and efficiently. Best of all? Unlike other standard duplicate photo remover tools, Duplicate Files Fixer scan for external devices as well including pen drive, memory cards, and external disks too. • Scans every type of media file, so that your computer stays 100% duplicates-free. • Very fast, responsive and provides accurate results. • Supports almost all the popular file formats, hence you don’t have to switch to different program for scanning duplicates. • Capable of scaling thousands of media files in one-go, which sometimes other software refuses to. • Moves all your deleted files to recycle bin, so that you can restore them anytime you want. • Compatible with more than 10 languages. Duplicate Files Fixer is undoubtedly an ultimate solution if you’re looking for a tool that scans > find > remove and smartly organize your system storage. There’s no denying the fact that several people think that few redundant photos will bring no harm to their PC or phone. Well, that’s not happening! Ignoring such scenarios will only leave you with cluttered system and slow computer. To ensure you’re far away from such issues, you can download Easy Duplicate Finder, that will free you from such complicated things in simple clicks. Just launch the program > drag and drop folders you wish to scan duplicates from > in few seconds it will load the results in front of you > click ‘Go Fix Them’ button > It will automatically select all the duplicates on your behalf > go through the list and check so that no important file gets deleted. • Easy drag and drop feature to add files and folders. • Exclude option to eliminate files you don’t want to scan. • Along with finding duplicates, this software also presents the amount of space consumed because of them. • Once you reach the ‘Fixing’ option, you get different options to manage your duplicates. You can either delete them or move them to a folder or rename it or export them. Easy Duplicate Finder is not only capable of finding and deleting duplicate photos, but it also looks for duplicate documents, music, videos, archives and other media files. Advantages Of Deleting Duplicate Images? You can keep your PC well-organized and updated. You can reclaim unnecessary occupied hard drive space quickly. You can easily find your favorite photos, videos and music files from deduplicate library. Recover chunks of storage space without much hassles to save your other important files. Removing duplicate files regularly frees you from confusion to find important stuff quickly. When using a dedicated duplicate cleaner to remove duplicates than doing manually, you save a lot of time and effort. Hope these benefits were enough to make you understand the importance of removing duplicate data regularly and have an organized and fast running system. How To Remove Duplicate Images Manually? Step 1- Go to the folder from which you want to find and remove duplicates from. Step 2- Now sit and dedicatedly spend some time to find images which are exact, and which are similar-looking. Step 3- Once you are done differentiating, right-click on the image and select ‘Delete’ option to remove duplicates. Step 4- Repeat the process several times till you get a clutter-free library. Note: Getting rid of duplicates is not at all an easy task, and if done incorrectly by ‘deleting duplicates obscurely’ you can literally end up rendering your computer unbootable. So, as you saw the process is quite frustrating and time-consuming, we recommend using advanced duplicate photo finder tools that can help you to find & delete duplicates and similar photos effortlessly. So, there you have the best bunch of Duplicate Photo Remover tools to get the job done. Each duplicate cleaner has its own advantages & disadvantages. Organizing your photo library in a few moments is truly a dream come true now. Using these ideal tools to remove duplicate images has become such effortless. Keeping in mind all the qualities of an ideal Duplicate Photo Remover, we suggest using Duplicate Photos Fixer Pro which is packed with all the robust functionalities in one package, not only exact duplicates this software goes beyond to detect similar-looking images as well. You can easily set the parameters to get the desired results. Download now to deduplicate your system/phone and get effective results along with noticeable performance boost. Do let us know about your experience with any of the above-mentioned Duplicate Photo Finder Tools in the comment section below!